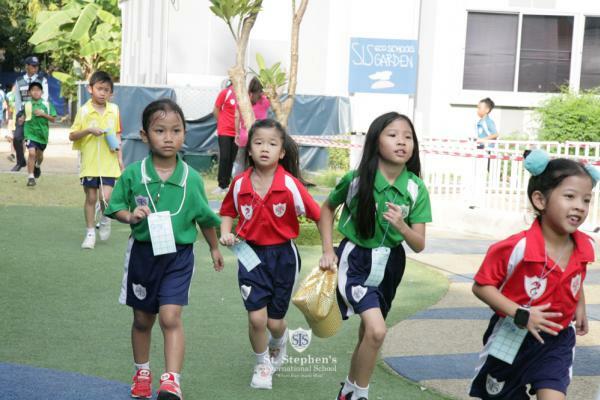 The St. Stephen's annual Primary School Walkathon took place on Friday 22nd March. 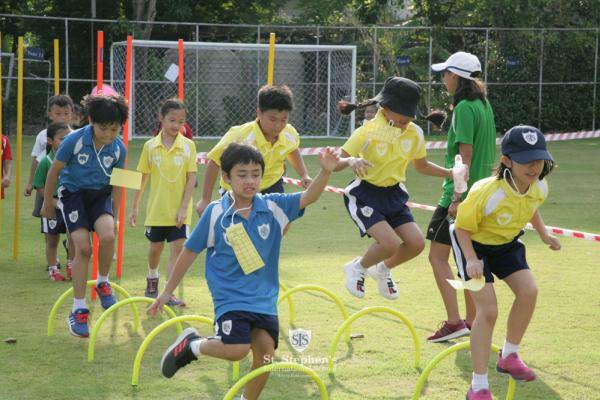 Children all the way from Nursery to Year 6 participated raising money for our community fund. 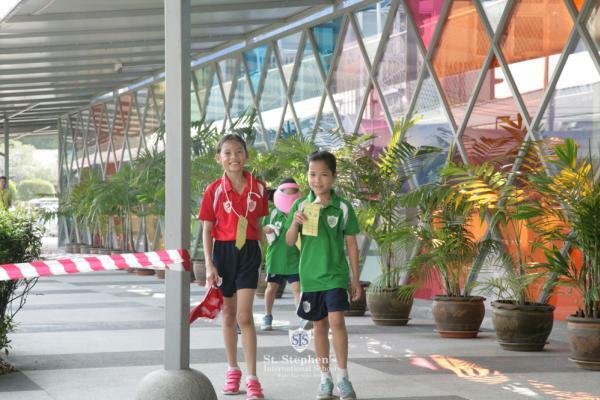 Sporting their House colours the children walked a planned route around school, which included 3 fun zones. The great spirit and energy was all for a good cause. 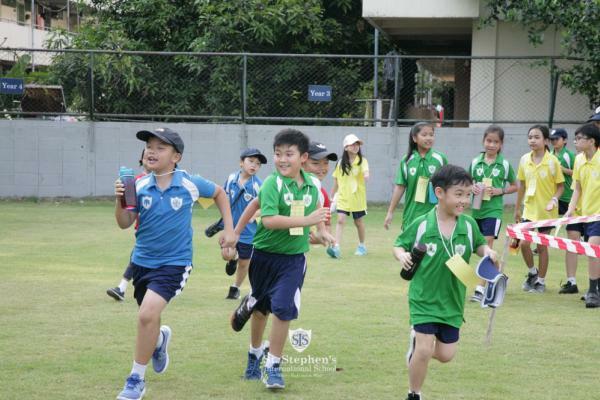 Altogether the children can feel proud having walked an estimated combined distance of 816 km. What a great great effort, well done everyone! The final date for bringing in sponsor ship money is Wednesday 4 April, after which we will be able to pass on the total raised.